The Eibach Pro-System-Plus is a perfect step on the way to total suspension dominance. Pro-Plus kits are designed by our team of suspension engineers and ride control experts to offer the best-possible street performance. 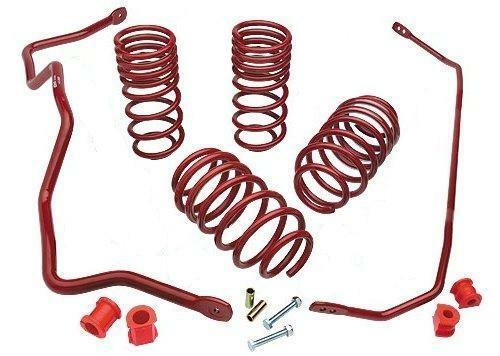 The Pro-Plus Kit is a precisely balanced combination of sport springs, bump-stops (secondary springs) and anti-roll bars designed and tuned to operate as a performance suspension system. Pro-Plus Kit improves turn-in response, increases cornering speed and reduces body roll. Pro-Plus Kit is the ultimate performance suspension system—a must for any true driving enthusiast. *Also available as a Sport-Plus-Kit, which includes Sportline lowering––for the lowest possible drop and over the top handling.